Shopping made easy! 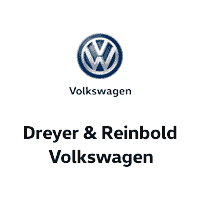 Make an informed and educated decision on your next new Volkswagen purchase from Dreyer & Reinbold Volkswagen of Greenwood, IN with the help of our model research pages below. Here you can get in-depth information on every popular new Volkswagen model for sale in Greenwood,IN including the 2019 Volkswagen Passat, the 2019 Volkswagen Tiguan, 2019 Volkswagen Atlas and the always popular 2019 Volkswagen Jetta. View pictures, compare trims, explore features, download vehicle brochures and learn the ins and outs of every vehicle to assist with you decision making process. We know you have many choices when purchasing a new vehicle and want to provide you with the latest information and tools at your fingertips. Once you’ve found the right Volkswagen model for you, browse our online inventory of new and quality pre-owned models, or make the short drive down and visit our dealership near Beech Grove and Bargersville, IN today!